How Energy Star Replacement Windows outperform Pella, Anderson and Big Box brands. Energy Star windows are rated by the US government. That rating requires specific features. Those features work together to insulate your home from weather extremes. The energy efficiency creates a more comfortable home and energy savings. You may wonder how they do that. 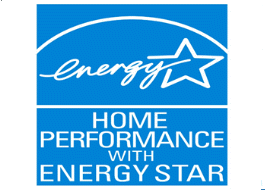 Energy Star windows significantly reduce the heat and cold that moves across your window and your home. You might experience drafts with weather extremes. If so, it is time to look at replacement windows Tulsa. You owe it to yourself to look closely at the energy efficient window features that are provided with Trailblazer™ windows. The SRI Energy Trailblazer™ product adheres to the Federal Government Energy Star Rating.. When you replace aluminum windows, vinyl windows, thermal windows or old steel casing windows, you gain a more comfortable home. You get a durable window with a lifetime warranty. You save money on utility bills. You beautify and increase the value of your home. How to Choose the Right Replacement Windows for my needs? When selecting windows, you have many choices, but how do you know that you are getting superior quality for your home? How do you know they will be installed correctly? What's the difference between insulated or thermal windows and Energy Star windows? What are superior home windows from a building scientist's perspective? Transform your home with energy efficient windows designed for Tulsa and NE Oklahoma . Choose from a full line of quality products that include single hung, double hung, casement, bow, bay, architectural and patio doors. Buy custom window sizes to assure that no additional work needs to be performed at install. Verify the window grid style you need is available. Compare energy specifications and warranties against price differences. SRI Energy is locally owned and operated. 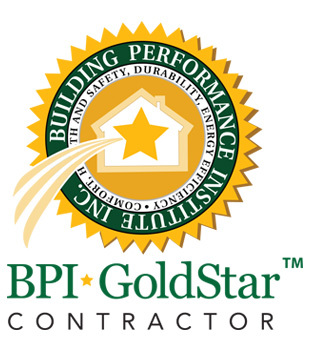 A Tulsa Oklahoma based company, manned with BPI Certified Building Scientists. SRI Energy offers multiple brands depending on your need. 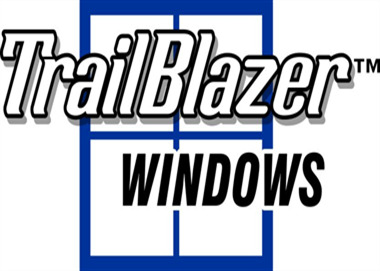 Our TrailBlazer™ windows are beautiful, durable and affordable. The NT Windows have earned the government's ENERGY STAR Most Efficient Mark. The ENERGY STAR Most Efficient mark is an extension of the ENERGY STAR® brand and is designed to recognize and advance the most efficient products among those in the industry that qualify for the ENERGY STAR designation. Call or submit an online query for a no obligation estimate. Our Team is standing by ready to help you. You will gain several advantages with properly installed Energy Star Windows. Comfort: In the summer, as the air conditioned air comes into contact with the hot surface of the windows, it causes air movement in your home. The same is true in the winter as heated air touches the cold or freezing panes of glass. This causes uncomfortable drafts. Further, inefficient windows mean your heat and air unit come on more frequently as it works to overcome the uninsulated glass. Energy Savings: Significant reduction in energy waste and energy savings that can go toward your investment in Energy Star replacement windows. Especially, if you have single pane windows--think about it, it's like having R-1 insulation on 15-20% of your exterior walls! Beauty: Beauty and curb appeal add value to your home improvement. Beauty combined with the benefits of Energy Star windows just "makes cents. Proper Installation: You can know that your investment in energy efficient windows has not been compromised by poor installation. Even superior quality windows can be compromised in their effectiveness without proper installations. Affordable: Prices for quality Energy Star replacement windows in Tulsa Oklahoma are all over the place. You can have beauty, quality, and affordability without breaking your pocket book. We are always sad for homeowners when they have just made a purchase paying thousands of dollars for what we could have provided with equal or better quality at less than half the cost! Building Scientist: Building scientists are available to answer your questions! We will provide you a free price quote and a demonstration of our superior quality Tulsa windows. Yes! We Offer Financing including 12 months "Same as Cash"
We offer one year "Same as Cash" Financing. If you would prefer more conventional financing, we can help with that too! Depending upon the loan amount, we offer rates as low as 4.99% to 9.99% WAC through our lending partner Enerbank and Arvest who can usually get approval within 15 minutes. Vinyl windows are foam insulated during manufacturing for a complete seal. Metal windows or vinyl windows without insulation. Double strength commercial glass is thicker and provides a more effective barrier. Residential glass which is thinner, and more prone to breakage. The gap between panels of glass have Low E (silver oxide) and Argon gas filled to reduce heat transfer. Narrower gaps between panels, which may or may not have a low E radiant barrier. Energy Star requires a coating to reflect heat. We use Silver Oxide (Low E) because of its superior quality. Thermal windows may use lower quality tin oxides to reflect heat or none at all. SRI Energy provides a lifetime warranty against breakage or seal failure, for any reason. No more window fog. Thermal windows can crack due to stresses or temperature changes. 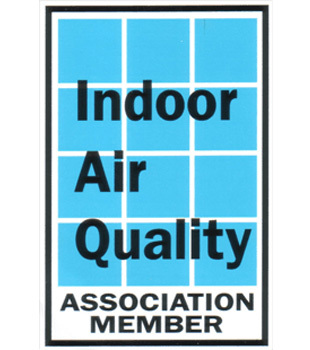 Seal failures cause condensation that result in fog inside your window.